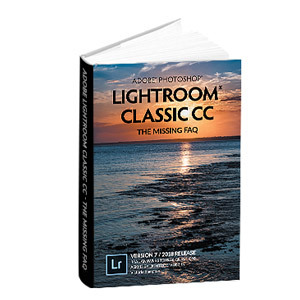 What's New in this Lightroom Release > Lightroom Classic Updates > What’s new in Lightroom CC 2015.6.1 and Lightroom 6.6.1? Lightroom CC 2015.6.1 and Lightroom 6.6.1 have been released today. Double dot updates are released to fix problematic bugs that can’t wait until the next update. Fixed – Occasional app freeze on import. Fixed – Import Destination folder was collapsed on opening. Fixed – Uncompressed DNGs files converted from Fuji X­-E2 RAF source images were unreadable. Fixed – OS X full screen mode was unavailable. Fixed – Errors that prevented customers from creating a panorama from two HDR DNG source images. Fixed – Guided Transform tool crashed if you clicked instead of dragged. Fixed – Shift T shortcut didn’t work for brush in graduated/radial filter. Fixed – App­-managed color management on Mac in Lightroom CC 2015.6 / 6.6 resulted in incorrect colors when printed. Fixed – Issue that prevented the SmugMug Publish Service from working properly. Fixed – Prevent unnecessary resync of collections to Lightroom mobile after an update. Fixed – An issue that resulted in high memory usage while in the Develop module. I’m still running Lightroom 6.1.1 on Mac OS X 10.8.5. If I check for Updates… it tells me it is up to date. Hah! Downloading from the link given above fails because that version will not run on 10.8.5. So how do I get the most current version that runs on Mac OS X 10.8.5? 6.1.1 was the last version compatible with 10.8, which is a pretty old operating system now. Time to upgrade! It appears that LR 6.3 is the last version compatible with 10.8.5. I was running 6.2 for a short while but reverted to 6.1.1 because of the Import changes. I’ve been running 6.1.1 since. Oh good DB. Officially, support stopped with 6.1.1 (Lightroom CC 2015.1/Lightroom 6.1 and earlier versions are supported on Mac OS X 10.8. from but they obviously didn’t block it until a version or so later. So I started over. 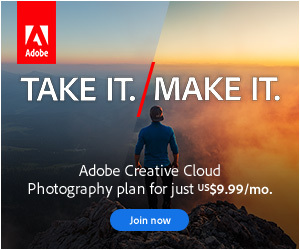 Deleted Lightroom 6 and redownloaded the original install file from my Adobe account. It installed correctly. This version says there is an update and downloads it — but this new version does not run on my older OS. Still stuck trying to update past 6.1. Installed this patch yesterday and believe it or not: the system is now much faster in develop module!!! With version 6.6 I usually restarted Lightroom after processing 30-50 images as the system became so terribly slow. Now it’s even possible to continue editing photos while doing an export in parallel (this was still working with the Lightroom 5 versions but all Lightroom 6 version became so slow during export that it was no fun to continue to edit in parallel. Thanks for the thumbs-up on the new LR release. I’ve just installed it and am looking forward to a performance boost. My experience was the same as Andreas above — slow and lots of re-starts. Related to that, I’m limping along on a 6-year-old MacBook Pro, 1 TB HD, 8 GB RAM, OS X Yosemite. Runs fine, just slow. Does anyone know if an upgrade to El Cap would help or hurt performance? I have 2 2009 MBPs and a 2009 iMac — all ran faster in general with El Cap. The best perf increases were on the lowest configs (i.e.RAM and processor clock), but better on all. Not very many comments. Is it really that clean? It’s looking that way Mike! The bug report forum’s very quiet too. Thanks Victoria. I just installed on a MBP w/El Cap. Install was very smooth. I noticed the move from file to file in Develop is just a tick off the previous speed (i.e. “loading” on for just a second after the switch now), but moving from Library to Develop and back is MUCH faster (no rotating beach ball). Putting on my production iMac next. Thanks again Victoria for the great forum and counsel! Glad to hear it Mike! please please help me figure this out: With the changes to the Transform panel in Lightroom 2015 6.6, they took out the scale that allowed the creation or removal of a fisheye effect. It’s driving me crazy that NOBODY is talking about what they took OUT instead of just what they put IN… the “guided upright” stuff and such. Please help me figure this out. I love to add change the perspective and add some fisheye effect on some of my photos and now cannot. Dear Victoria, I tried your link to the 6.6.1, but the package just installs 6.1, which I already had. I must be doing something wrong, or your link is to a wrong version. Odd indeed. Quickest fix is probably to uninstall and reinstall.